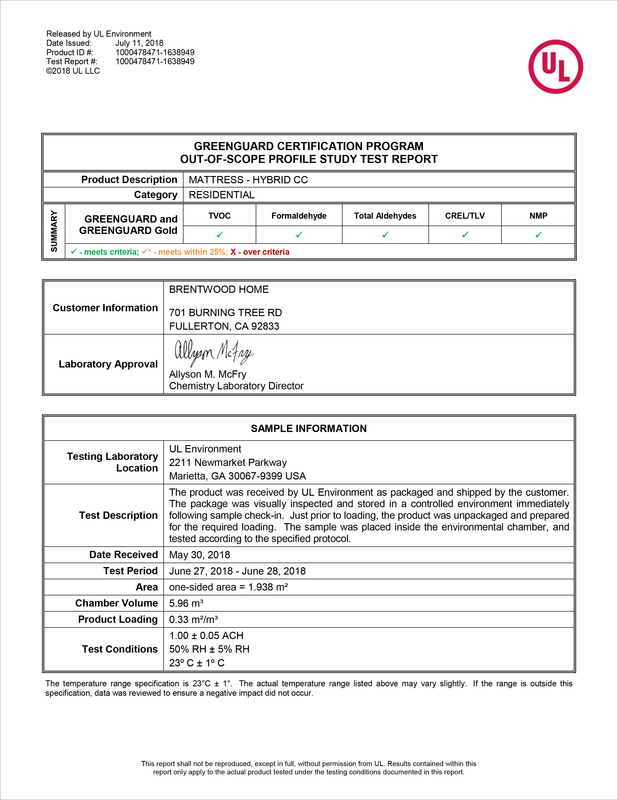 Are your mattresses & pillows GREENGUARD Gold Certified? 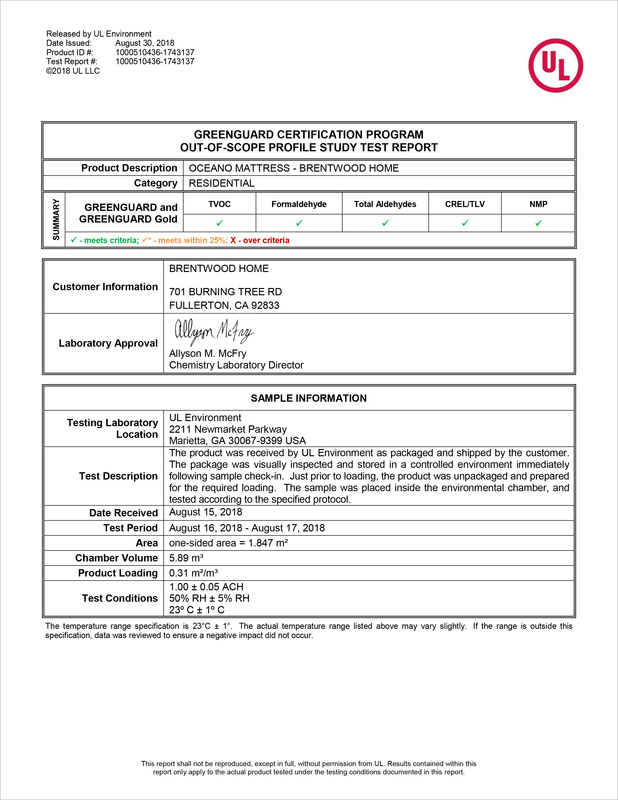 Yes, they are tested to meet the most stringent standards for chemical exposure, pollutants and volatile organic compounds (VOCs). 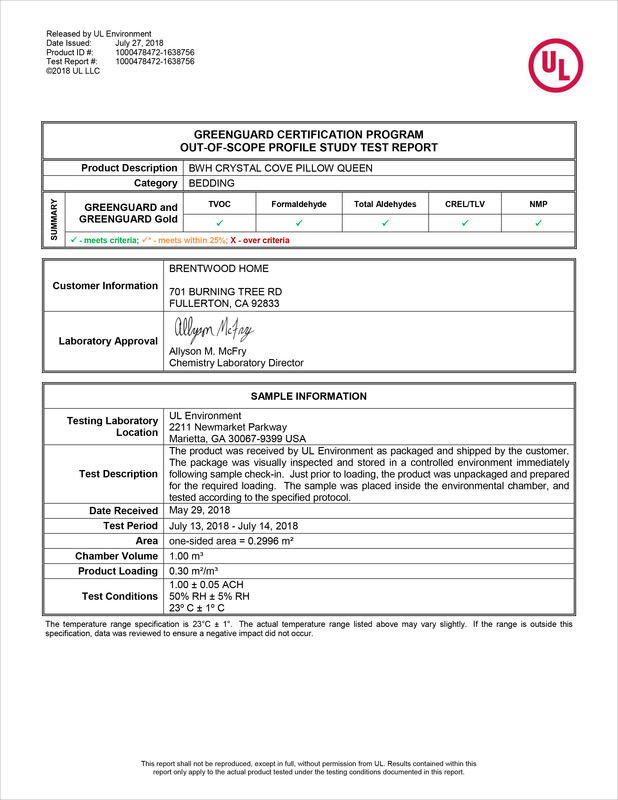 Brentwood Home mattresses are GREENGUARD Gold® Certified UL Environment. 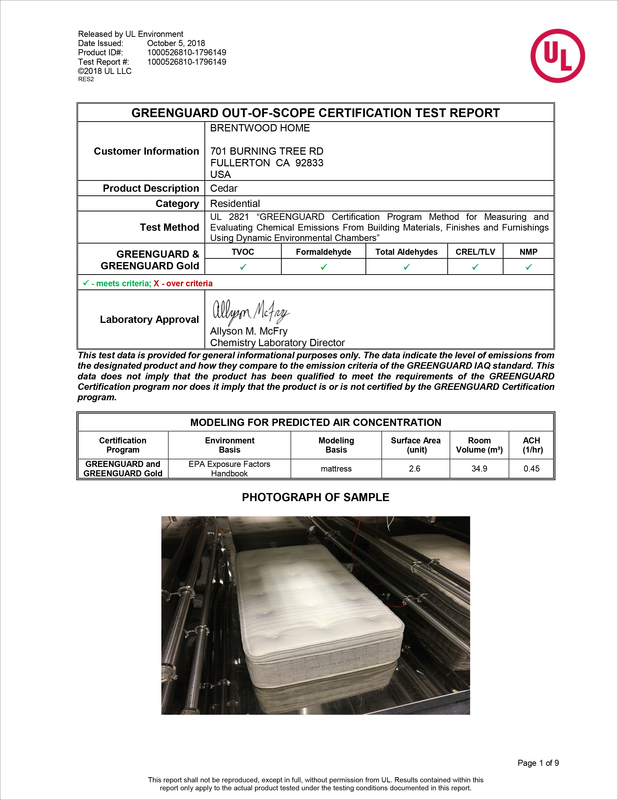 This is the most stringent standard available. 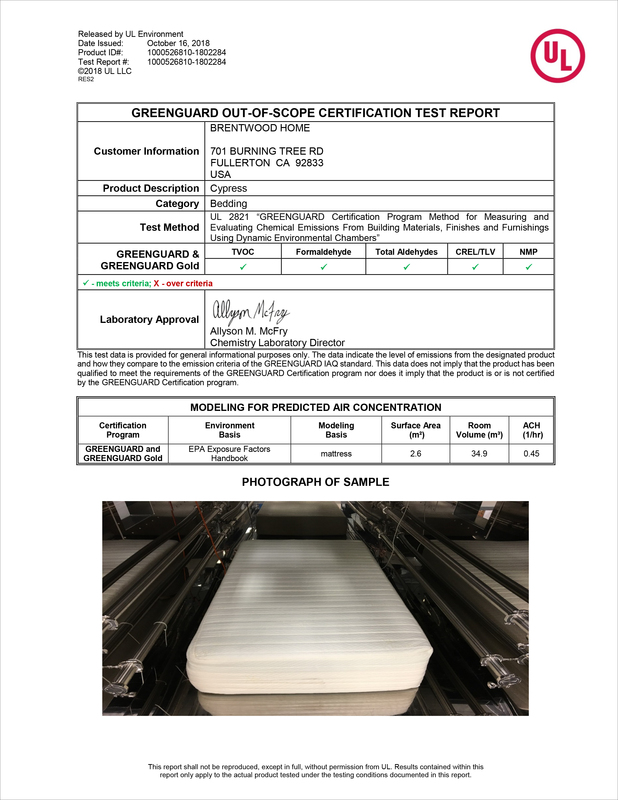 It means our mattresses are scientifically tested by an unbiased third-party for prolonged exposure in environmental chambers to meet rigorous emissions standards for chemical exposure and pollutants, such as volatile organic compounds (VOCs), formaldehyde and phthalates. Few mattresses and pillows qualify for this gold standard.